Jaffe Estate was founded by Gary and Pam Jaffe. 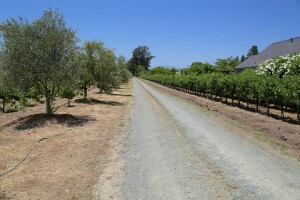 Their small vineyard is located just south of the town of St. Helena and provides all the fruit for their wines. The vineyard is located in the St. Helena Appellation almost on the border of the Rutherford Appellation. They purchased the estate in 1999 with vineyards that were already planted to Cabernet Sauvignon and Merlot; their total production each year is about 700 cases. For several years they sold the grapes to a nearby winery; Gary always wanted to make wine and after noticing the good press and awards this winery was earning they decided to take the plunge. They hired the very talented and perhaps we should add ‘brilliant’ winemaker David DeSante; he produced their inaugural release from 2005 and a number of subsequent vintages. produced a number of vintages since their inaugural release in 2005. Today David is no longer directly involved with their wine making; their wine is made by a top wine making team at a local winery in St. Helena. Gary having been born and raised in the Los Angeles area was first introduced to Napa in 1980 through a friend who had business in the area. This initial trip soon turned into a few days, then a month, then a week and then a long distance commute from Los Angeles. At the end of one year Gary realized that for the cost of his hotel each month, he would be better off moving to Napa! 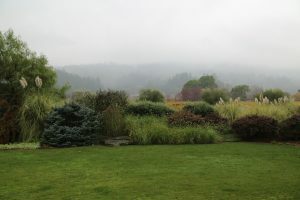 Like many he was drawn by the beauty of this small valley and surrounding hills, and even more so by the collaborative rather than competitive efforts that area vintners show one another. 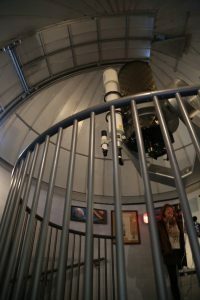 Special mention must be made about the small but impressive Jaffe observatory and rotating telescope built among their vineyards. An observatory in the Los Angeles basin may not be the best idea because of all the lights and smog, but at night in the dark Napa vineyards it is a rather ideal location. 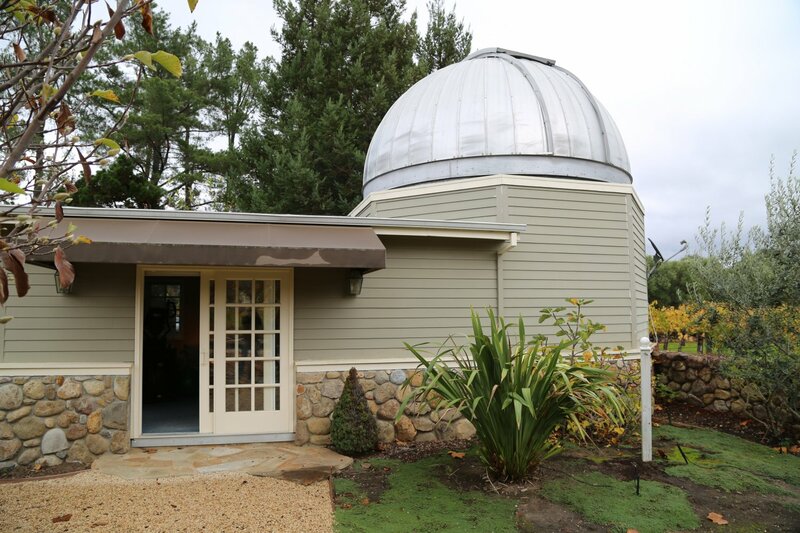 To the best of our knowledge this is the only privately owned observatory in Napa County (although we heard Francis Ford Coppola has plans to build one in Napa on a hillside) and as expected has been a popular resource for local school kids. Gary remembers the first time he became interested in astronomy; he was 9 years old and had just visited the famed Griffith Park observatory above Los Angeles for a planetarium show. He was hooked from that point on and has become a life long passion. As he told us, “astronomy is the one branch of science where amateurs can actually be involved in research” and researchers have called him for his help. 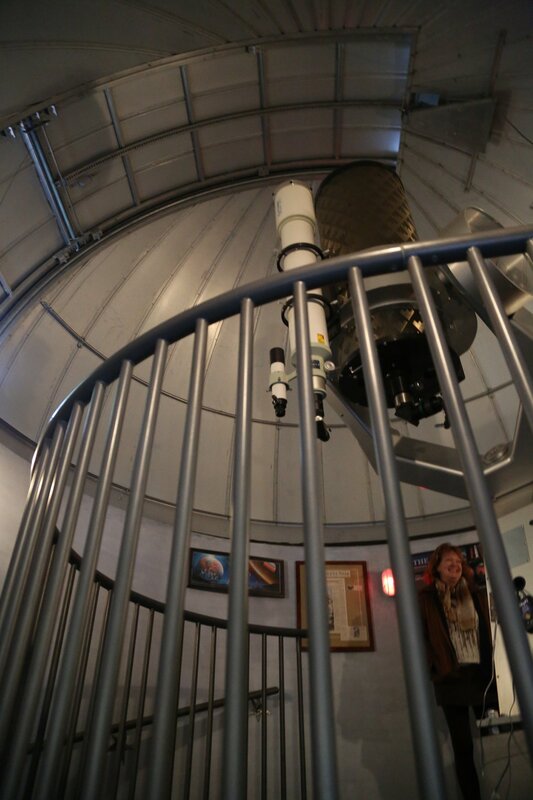 With a visit during the day, observatories have a definite limit to their usefulness. In any case Gary showed us how the auto tracking works; at night he can and has tracked the International space station flying 250 miles overhead and has the ability to download images directly to a computer. His telescope also has the ability to view the surface of the sun. Note their unique label – knowing their passion for astronomy, on first glance you might think the colorful circles are planets, but taking into account the two names of their wines and upon further glance you will notice the circles are grapes. The color pattern is a representation of the grapes as they change from green through the purple veraison to ripeness. 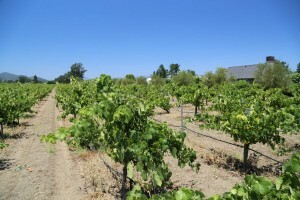 Jaffe Estate produces two wines each year, Transformation – a Bordeaux style blend with Cabernet Sauvignon and Merlot and Metamorphosis, primarily Cabernet Sauvignon. The wines are representative of their vineyard of course, but are styled after what the Jaffe’s enjoy drinking. Their wines are elegant and not generally high in alcohol with the integral focus of their wine making concentrating on balance. In this regard, former wine maker David quotes the famed soils and wine making expert Andre Tchelistcheff – “once balanced, forever balanced”. We have tried wines from several of David’s clients including his own wines – and have been impressed every time. David almost did not become a winemaker. He was halfway through medical school on the east coast when he made a dramatic change. He moved across the country to become a winemaker – where he completed his Master’s in Viticulture and Enology at UC Davis. The 2006 Transformation is a beautiful elegant wine and while we sampled it merely 2 weeks after its release, it is already drinking nicely at such a young age. The bouquet initially opens with an earthy dusty component which is well integrated with ripe fruit aromas, namely blackberry – as the nose opens it picks up nuances of mocha. The mouth feel is plush and very well rounded with layers of fruit from the entry all the way to the finish. The rather delicate tannins are broadly distributed and like the body of this wine, are completely in balance. We would love to see where this wine is in say 5 years. 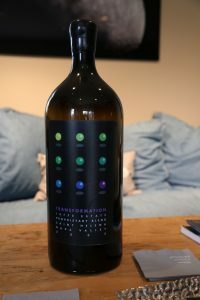 The 2012 Transformation is 58% Cabernet Sauvignon and 42% Merlot. Shows sweet aromatics including of red cherry, toasted cedar and as the wine opens a neat floral nuance comes forth (rose petal). This is an elegant nose which becomes even more so as it breathes. Very balanced and soft on the palate with a pleasing texture. Fairly smooth finish with nicely integrated tannins. Drinks very well young. Quite approachable. The 2005 Metamorphosis has some nice earthy tones to the nose which over time reveal more fruit aromas. The palate is driven by a rich core of fruit, plum, cherry and raspberry. The tannins are firmer than the 06′ Transformation and with good acidity and lively fruit, this wine will prove itself to also be quite age worthy. Jaffe does not submit their wines for ratings, but when you have something this good, word is bound to get out and it already has. The wine enthusiast tasted one of their wines at a tasting and rated their 2005 Transformation a 94…not bad at all for an inaugural release! Jaffe Estate is also very involved with a number of charitable organizations, tastings for charity and auction events. Their wine is made to be consumed with food and can be found at a number of high end local restaurants including Auberge du Soleil, Bouchon and Ad Hoc. They are also selectively distributed in parts of Asia (Japan, Hong Kong, China and South Korea). Thanks for your nice comment Peter – you are right on the money on both accounts.